No, no. I didn’t go researching modern-day witchcraft or anything like I did with Taoism. No, I’m taking web design lessons from a set of entirely fictional witches who live on a flat, circular world which rests on the back of four elephants, who in turn stand on the back of the Great A’Tuin, a turtle that swims through space. 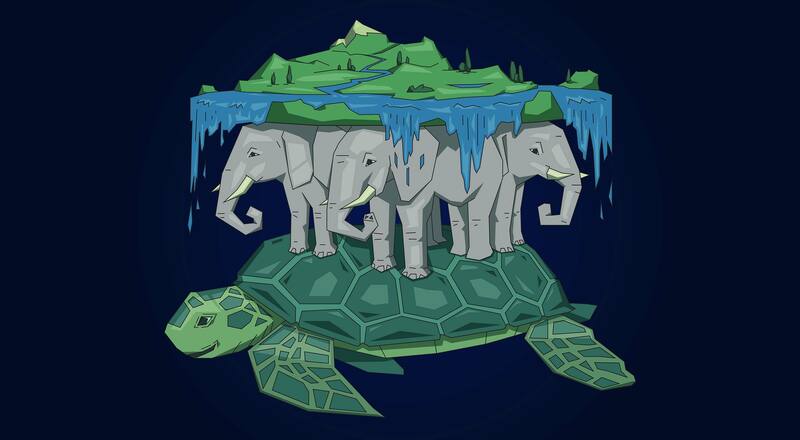 It’s called the Discworld, and it is the subject of forty-one of the best darned books I’ve ever read in my life. The witches of the kingdom of Lancre are the protagonists of several of these books. They’re a cross between village doctors, local magistrates, and (on relatively rare occasions) magical troubleshooters. If you want to change the world around you, you first have to know who you are. And then, you have to have absolute confidence in who you are, knowing both your capabilities and your limits. Esmeralda Weatherwax defines this trait. It is her nearly unshakable confidence and her will, which make her the most powerful witch known. 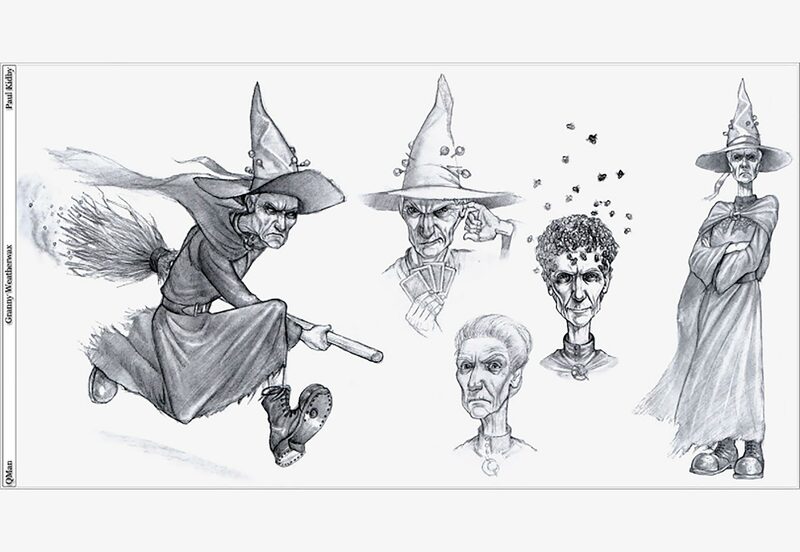 Officially, the witches don’t have leaders, and Granny Weatherwax is the leader that they definitely don’t have. Designers, of course, have to learn how to be wrong, and then deal with it. Granny does, too. The problem is, if you get too used to thinking you’re wrong all the time, it can become a hard habit to break. You can’t do your best work by second-guessing yourself at every turn. You have to see if you’re actually right or wrong first, and go from there. Granny trusts her knowledge and experience, and when she is proven wrong, she trusts the new knowledge and experience. Eventually. What’s the point of any of this if you can’t enjoy yourself? Looking after a whole community isn’t easy, but Gytha “Nanny” Ogg finds the time to eat and drink rather heavily, dance whenever she feels like it, and sing loudly enough to send her entire village literally running for cover. She’s been married three times, has fifteen children, and still she checks under her bed for strange men at night because “you never know your luck”. She takes full advantage of everything she can get from being the village witch, and matriarch to half the people in the village besides. In learning about (and selling) the importance of our work as designers, it’s easy to get lost in all of the grand ideas. We’re trying to make sites that are accessible, usable, beautiful, and hopefully profitable, and each of these is almost a discipline unto itself. It’s worth taking the time to just sit there and marvel at all the cool stuff the web can do, and enjoy being a part of it. The witches of the Discworld very rarely use “actual” magic, beyond their flying brooms. They can. 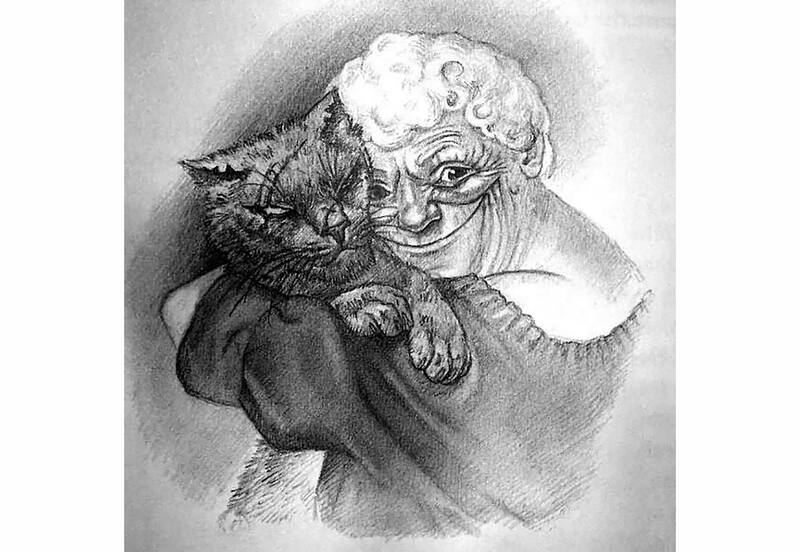 Granny Weatherwax in particular is terrifyingly powerful. Mostly, though, they practice a generalist sort of medicine, and a whole lot of what they call “Headology”. People are always coming and asking for magical solutions to things that can be fixed by far more practical means. Headology is mostly a means of making people think something magical is going on, leaving the witches free to do what’s necessary in peace. For most users, everything we do seems magical. The very act of making a static web page seems mystical to them, especially if you do it with [gasp] a text editor. And the simple truth is that like the villagers in Lancre, they don’t want that illusion broken most of the time. They want something to magically fix their problem. If you can help them to solve their problems, but make it feel like them was magic, you’ve got a winning formula. The younger witches often ask questions like, “But why can’t we just use magic to solve all of these problems?” The answer, of course, is that magic can cause as many problems as it solves. Magic is a blunt instrument, and most situations with people need something more like a scalpel, a screwdriver, or even a small paintbrush. Ask any therapist. Lasting change comes when you guide people to the solutions, and let them do the rest. Trying to force your solutions on them basically always backfires. For example, I could point at the many ways algorithms are going horribly wrong in the world of social media. You can do your best as a designer to make things easier for your users, but you can’t do everything for them, and you shouldn’t try. Over the course of the books, there are a few witches in training, including Magrat Garlick, Agnes Knitt, and Tiffany Aching. While they all have amazing story arcs that I just don’t have space for in this article, there was one thing they all had to learn: when to ask for help. The witches of Lancre are fiercely independent, and they are mostly expected to handle problems—even the big ones—for themselves, but occasionally they run into problems too big for any one witch. Designers are going to run into those sorts of problems a lot more often, frankly. There’s so much to learn out there, and it’s rare that any one designer will come up with perfect solutions all on their own. Everything we do is built on the work of thousands who came before, and keeping all of that in one head just isn’t going to happen. You have to stand on your own as a designer, and take responsibility for what you build, but you can’t do everything alone. When in doubt, try to get at least two outside opinions. Remember: you need three witches for a coven; two witches is just an argument.